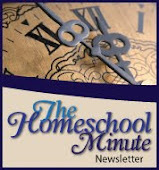 The Faithful Homeschool: Balancing, Eclectic Style! I had hoped to blog a Balance update where I share this wonderful system I set up for chores so my time and housework balances into this beautiful homemaking haven. You know, the perfect little system where everyone has their job and we all pitch in each.and.every.day to work towards a beautifully kept house. I'm not talking the quick vacuum clean and dishes are clean and toilet doesn't look diseased kind of clean.... No. I'm talking the deep clean one room a week kind of clean. The grand idea was to spend about an hour each day on a "Zone"... AFTER we had spent all day on homeschooling, . 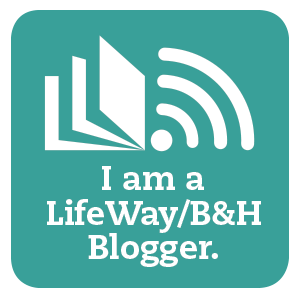 An awesome idea I discovered through Flylady.net and even blogged about in February. I meant every word I said there... especially the part about developing MY own version over the years... and why did I need to change it??? Oh the headache that ensued a few weeks ago. But here I digress. The garage can barely be walked through (a critical route when bringing in groceries). Our basement rec room has turned into a WRECK room. My laundry room has become the catch-all for craft supplies, material, yarn and done-using-decorations... we are often in danger of tripping just trying to get to the washer. A visitor might wonder if we ever dust surfaces or sweep and vacuum the edges! It has seriously been THAT bad. And while Fly Lady is GREAT, it just wasn't a fit for me right now. I spent most of a Saturday afternoon re-developing a system. Pouring over pdf.s, making flash card chore cards (one idea that has worked well for us for quite some time), typing up deep clean lists and modifying old ones by hand. I even drug out my old Fly Lady binder I used back in the day when she was my crutch to get me out of CHAOS (Can't Have Anyone Over Syndrome) with 4 small children around. Week one hit. Zone 3, which entailed the basement WrecK room and a bonus room. I was hopeful to tackle the laundry room since it is in the basement as well and the super-ambitious side of me wanted to order the garage before the week was out. We dusted and swept and even cleaned the windows, light fixtures and railing. At the end of our hour we traipsed up the stairs covered in dust and worn out. Our brains were tiered from learning all day and now our bodies were beat from the deep-clean. I cringed to consider the rest of the week in this way. Tuesday was put on pause on account of youth group. I used the time to pray for direction and strength. Then, as I was browsing Pinterest, I stumbled across this article (which it would seem I forgot to pin!!) where the author talked about cleaning once a month. You bet she had my attention!! She proceeded to discuss how they set aside one day a month where they did NO schooling and No laundry and basically none of the mundane daily tasks. They teamed up and did a house-wide deep clean. Hubby brought home take-out (so she didn't have to dirty her fresh sparkly kitchen!) and the rest of the month was just touch up. I realized, in my effort to balance my time well AND balance the chores and the running of my house, I was trying to use a system that just didn't fit right now. A GREAT system that worked at one time (and may work again) but life for me is currently more complex than it use to be. Trying to Fly while teaching elementary was a breeze. But seeking to balance all that is needed for a good homeschool high school education, while still teaching an early middle schooler, while still trying to do ministry work, while still trying to cook most food from scratch.... adding an entirely new chore regiment on top requiring a focused hour of cleaning a day was too much. I was reminded how recognizing what doesn't work and being flexible to try something else is critical for the domestically inclined mama and wife who finds herself overwhelmed by her tasks. Balance in the schedule seems like a simple thing. However, when the roller coaster of life kicks in, learning to negotiate the mound of tasks which often pile up while still maintaining critical time for rest and bumpers is not so easy to configure. In my efforts to re-balance our current situation I am finding that old-meets-new is the key. Going with once a month cleaning (I still think that is beyond awesome!! ), daily touch up, chore cards and a splash of Flying, I believe the scales will even out.... balance... eclectic style! I pray you may find balance in the chores and daily to-dos you have.... seeking His hand to guide you and His peace to sustain you when you haven't quite found the balance yet!